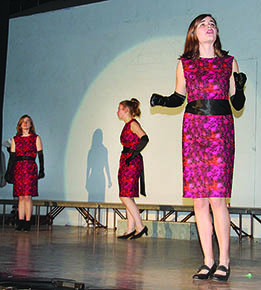 The countdown is on for the upcoming spring musical, presented by Boone Central, to take place this weekend in the performance gym. Show times are Saturday, March 30, at 7 p.m., as well as Sunday, March 31, at 2 p.m. There will not be a Friday performance. “It’s all coming together and the kids are excited,” Wright said. To reserve tickets, contact Jenni Grape via the Facebook page, or via email at jgrape@boonecentral.esu7.org. There is a cost for tickets. Patrons should enter the West Elementary doors for the performances. Tickets may be purchased at the door for the same price.